Newly updated guides and Apple at Work pages illustrate just how far the company has come to stake its claim for 21st century connected business. Late one Friday when no one was looking, Apple quietly updated the business support section of its website, Apple at Work. The move wasn’t widely advertised, but it reflects the growing importance the company places in the enterprise markets. It wasn’t long ago that saying Apple products have a place in enterprise IT would open you to acres of ridicule. That’s not the case today, as Apple becomes an essential item in every enterprise tool kit. IBM calls Apple “pervasive in the enterprise," while Jamf CEO Dean Hager notes that his own internal company research suggests 75% of enterprise users would choose a Mac for their next computer if given the choice. Apple recognizes its growing stature in enterprise markets. It drips out more information about its achievements in this space each time it releases financial results. The newly-updated Apple at Work site provides new chunks of data, interesting videos, fresh insights from business leaders and a great deal of help and advice designed to help enterprise users apply these technologies across their industries. “When you give people the intuitive devices that they know and love, tools to create new experiences and reach consumers in new ways, that’s where you start to see great things happen." Frank LaPrade, Chief Enterprise Services Officer, Capital One. The case studies should be of particular interest to CIOs looking to expand the use of Apple’s solutions in their business. Apple isn’t just about white-collar jobs. iPhones and iPads are also seeing rapid adoption at manufacturing companies seeking to build Apple into their Industry 4.0 stack. “It’s really about empowering the operators on the factory floor, connecting them even more with their factory line manager in a more efficient way, creating new ways of communication,” explained Christoffer Malm, Head of Connectivity Room, SKF, one of the world’s biggest manufacturers of bearings. Apple has spent years building up a supporting ecosystem for its business pitch, including forging critical alliances with some of the biggest names in enterprise IT, from IBM to Cisco, Deloitte to GE, SAP, Accenture and others. (Deloitte now has more than 100,000 iOS devices deployed across its business). These relationships mean the world’s biggest enterprises now have a way to integrate Cupertino’s computers and mobile devices into their business. This is driving new acceptance for Apple’s iPhone X – Computerworld calls it “the best phone for business." 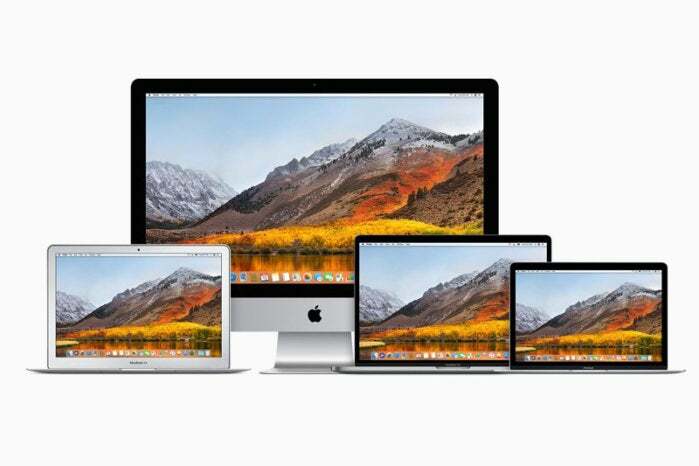 Apple’s Mac sales continue to see growth in excess of industry average rates, a reflection of just how closely aligned the company’s hardware, software and technologies have become with the needs of 21st Century digital business. This connectivity isn’t confined to people; it extends all the way from mobile enabled shipping to IoT managed industrial equipment. The evolution of new workspaces is all about cloud-based service and application provision, switched-on intelligent security protection that monitors network behaviour for threat, and beyond. We’re already looking at the complete automation of the logistics chain, from semi-autonomous ships to the robots that unload them, for example. With partnerships and an existing enterprise user base, the stage seems set for further expansion in Apple's bid to become an essential enterprise tech provider.